Womens version of the Sleek 99 jersey. Same materials, same technology, womens cut. 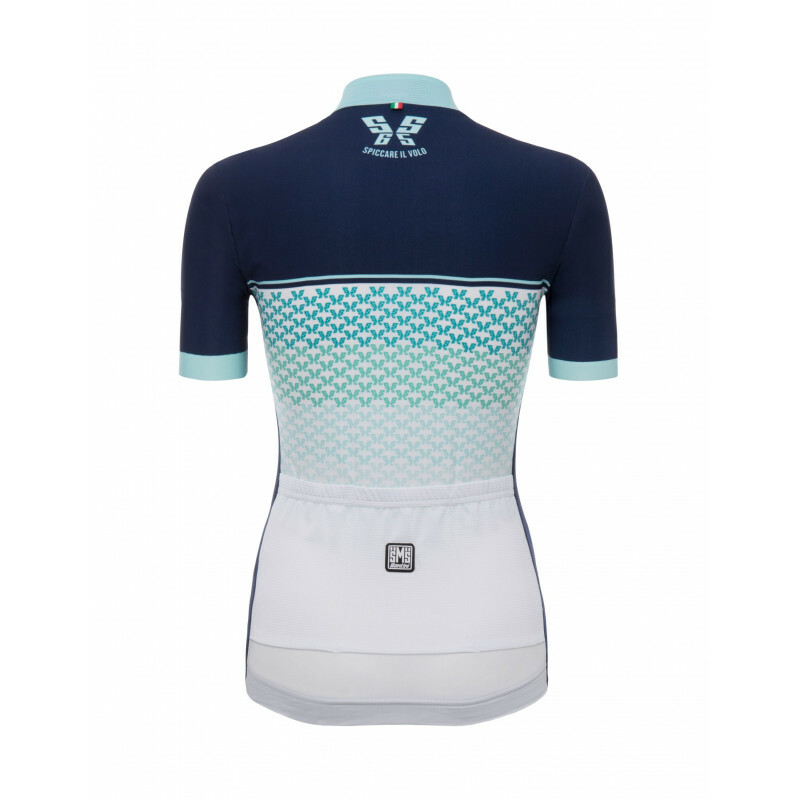 Extremely aerodynamic, the Volo jersey has the same cut of the famous Maglia Rosa. Front, sides and back pocket made with Rudy fabric that guarantees extreme breathability, while sleeves and back are in Bodyfit which is extremely light and strong with a weight of 90g per square meter. Extremely aerodynamic, the Volo jersey has the same cut of the famous Maglia Rosa. Front, sides and back pocket made with Rudy fabric that guarantees extreme breathability, while sleeves and back are in Bodyfit which is extremely light and strong with a weight of 90g per square meter. 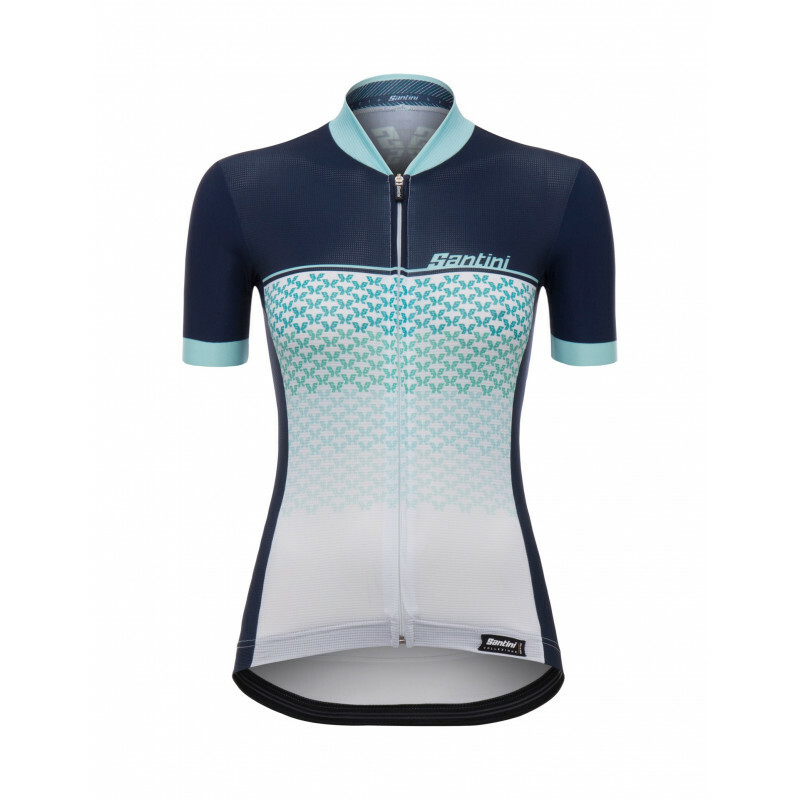 The cut of the collar is inspired by Santini's aero skinsuit designs similar to the one used by Peter Sagan in his UCI Road World Championship victory for Team Slovakia. 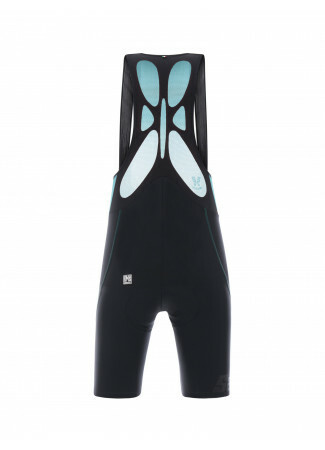 The petal form alleviates discomfort caused by the zipper coming in contact with the neck. 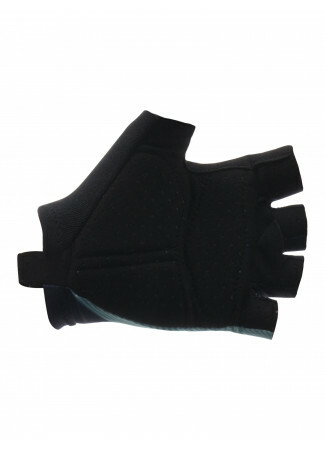 Elastic silicone grip at the bottom to maintain jersey position. 75 cm zip long. 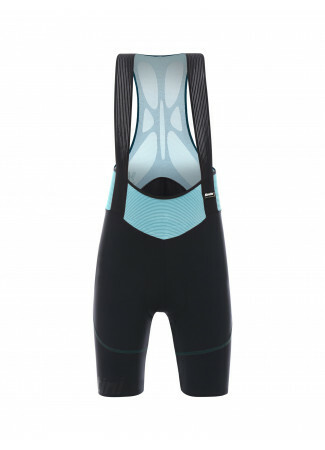 EXTREMELY AERODYNAMIC Fits like a second skin. INSPIRED BY THE PROS Same cut of the Boels-Dolmans team jersey. ULTRALIGHT CONSTRUCTION Complete jersey weighs just 100g. Ottima vestibilità, è perfetta, come specificato nella tabella taglia è necessario prendere una taglia in più. Non delude con l'uso, ha un'ottima traspirabilità e asciuga rapidamente. Adoro l'effetto della stampa farfalle che in realtà sono S di Santini e il numero 65. Non do 5 stelle perché sulla cerniera alla base della maglia, nella parte interna, sulla zona termo-saldata erano presenti alcune micro asperità e nell'uso hanno rovinato i pantaloncini Volo sfilacciando la lycra. Ho rimediato spianando con una limetta per unghie le parti pungenti. Consiglio l'acquisto. Spedizione veloce e puntuale. Non sembra nemmeno di indossarla tanto è comoda,traspirazione ottima.Eccellente prodotto. Perfect jersey for roadbiking - favourite item! 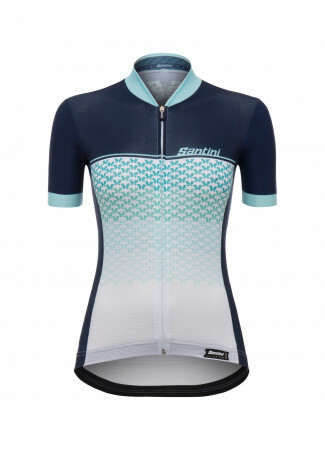 According to my sister, this is the perfect jersey for every sporty woman who loves roadbiking! It fits like a second skin, just as described by Santini. 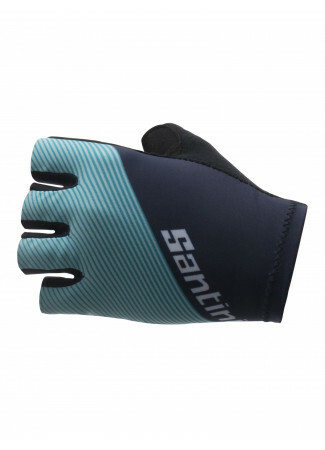 The fit is really race-like and true to Santini's sizing-chart. The fabric feels soft on your skin and is very breathable. Nevertheless, it doesn't matter if there occurs some wind on your ride, you won't need to slip on your gilet as long as the wind isn't really cold. I wonder how a fabric looking so fragile can be so strong and how good it manages changing weather circumstances. The rear pockets have just the Right size and don't look bulky even if they are used to carry stuff like smartphone, energy bars and so on. The zipper works perfect and can easily be used with one hand while riding. The jersey washes well and is easy to care for. Using normal sports-clothing detergent, it comes out of wash as new. Last but not least, design and colours are just great! 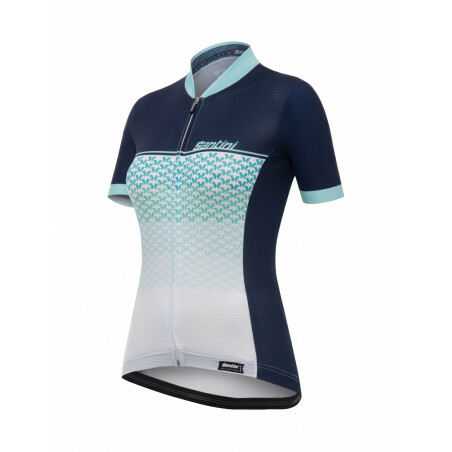 Pretty comfortable jersey from soft material and a decent zipper. I have orderd size M which is okay, but quite tight. From the sleeveless jersey I have also size M, but that one is not that thight. So size is not the same from all jerseys. Only thing I am missing is a small zipper in the back pocket for keys or some money. Very nice and adjusted cut. Feels really great. Just misses a zip in the rear pocket. Good quality material and very pretty. 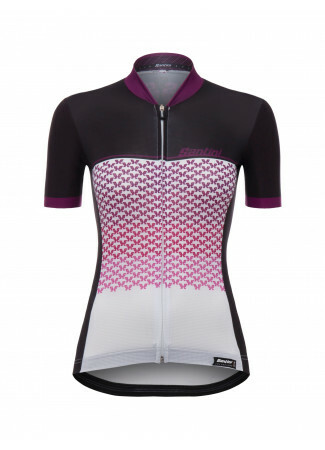 Ordered size M for the top and bib shorts. Shorts fit great but jersey is way too small as per sizing chart. I will need to exchange this for at least two size bigger!